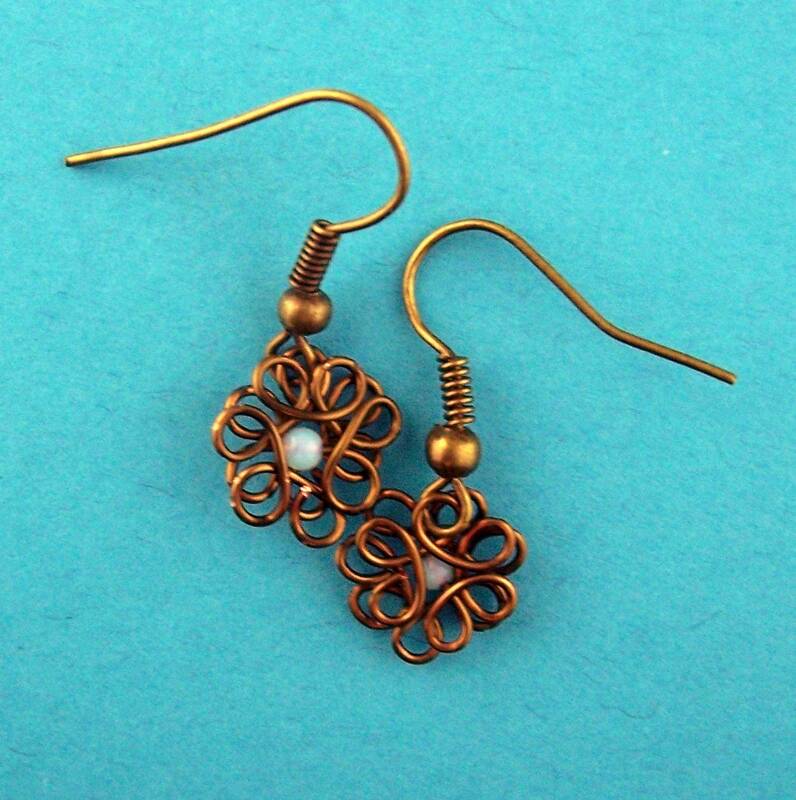 Two 2 mm opal beads are sculpted into the center of wire flowers to create these tiny and interesting earrings. 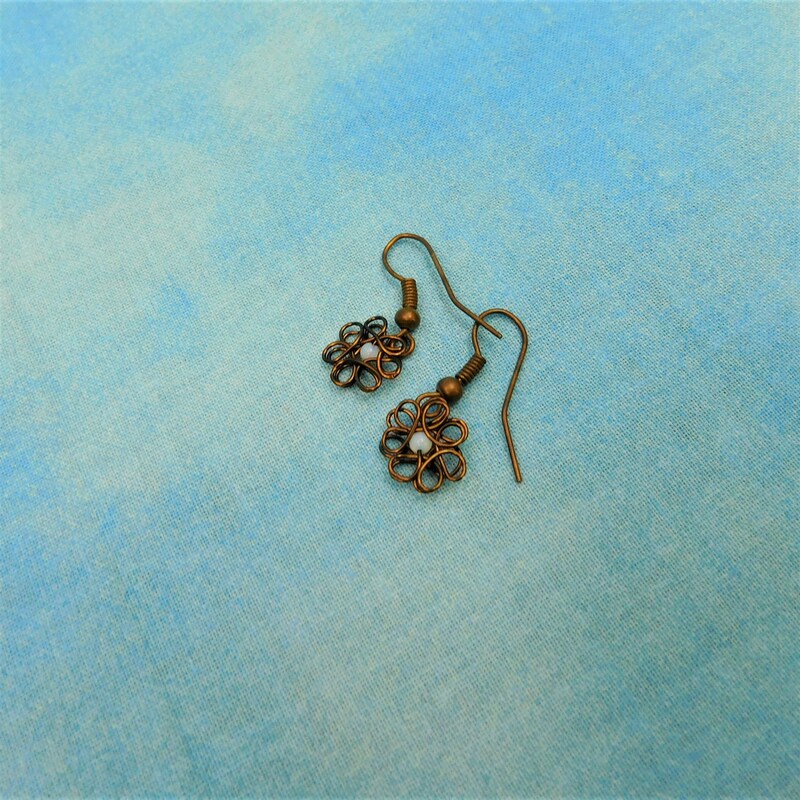 The tiny flowers are lightweight and easy to wear. 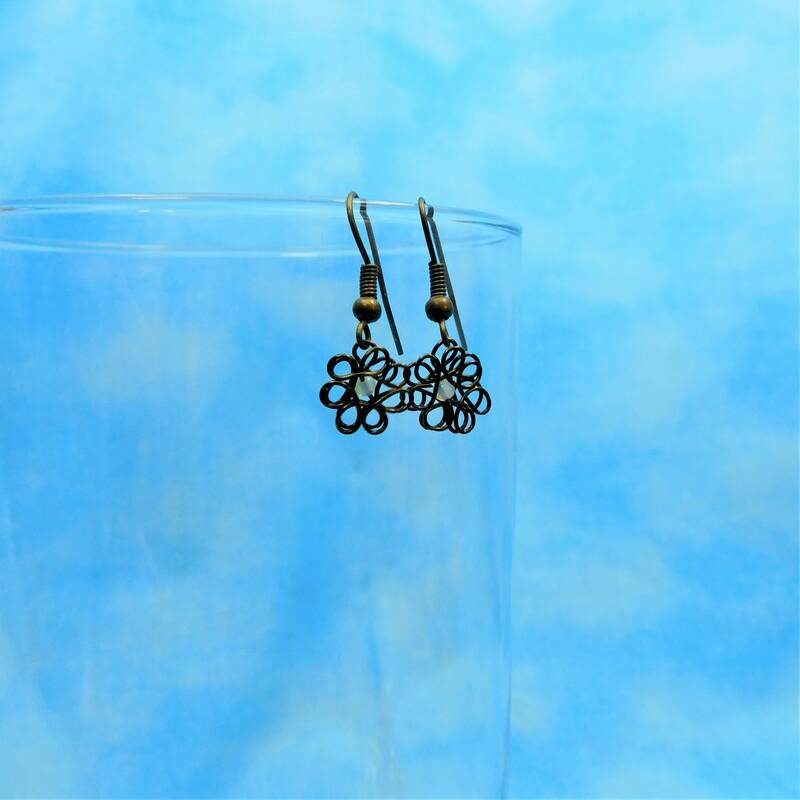 Their classic design will compliment many colors and styles. 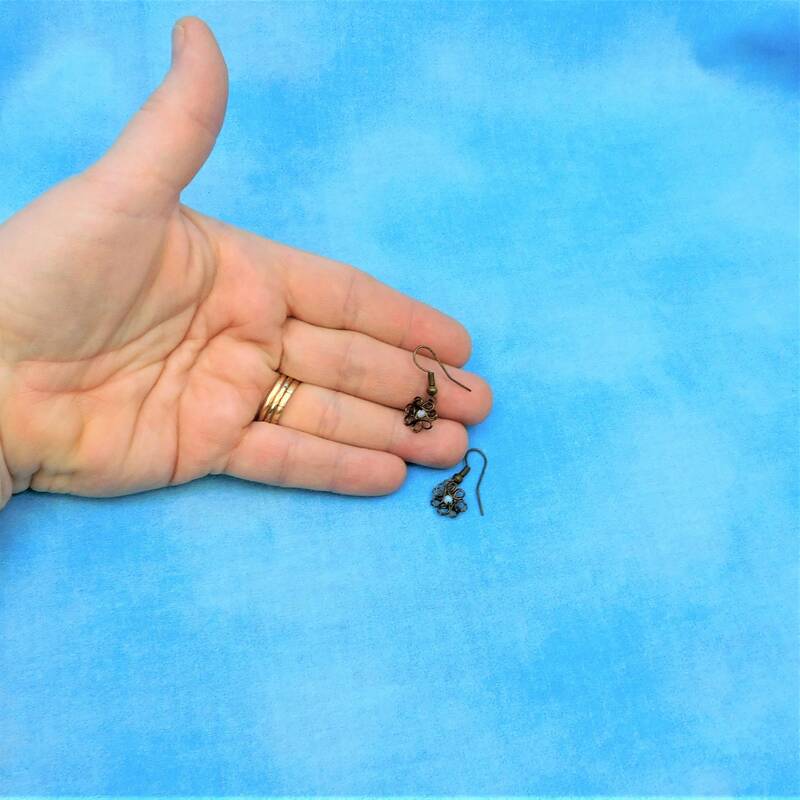 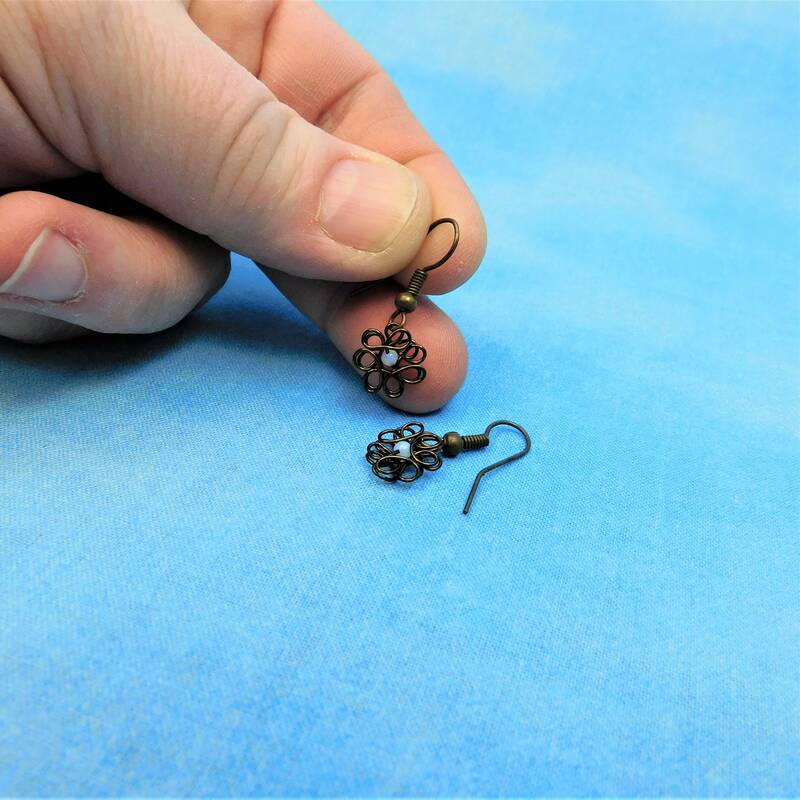 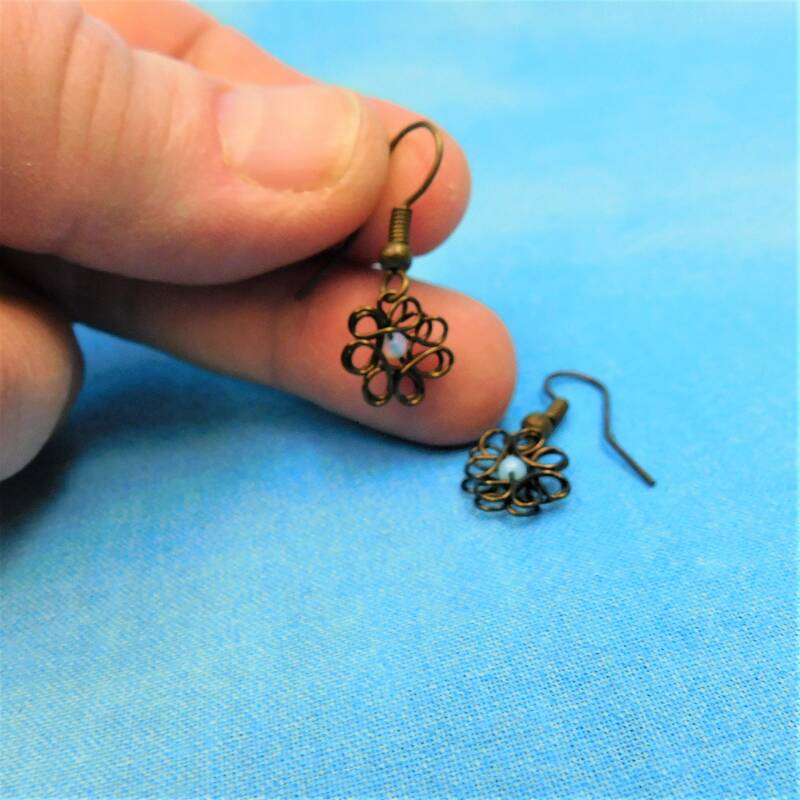 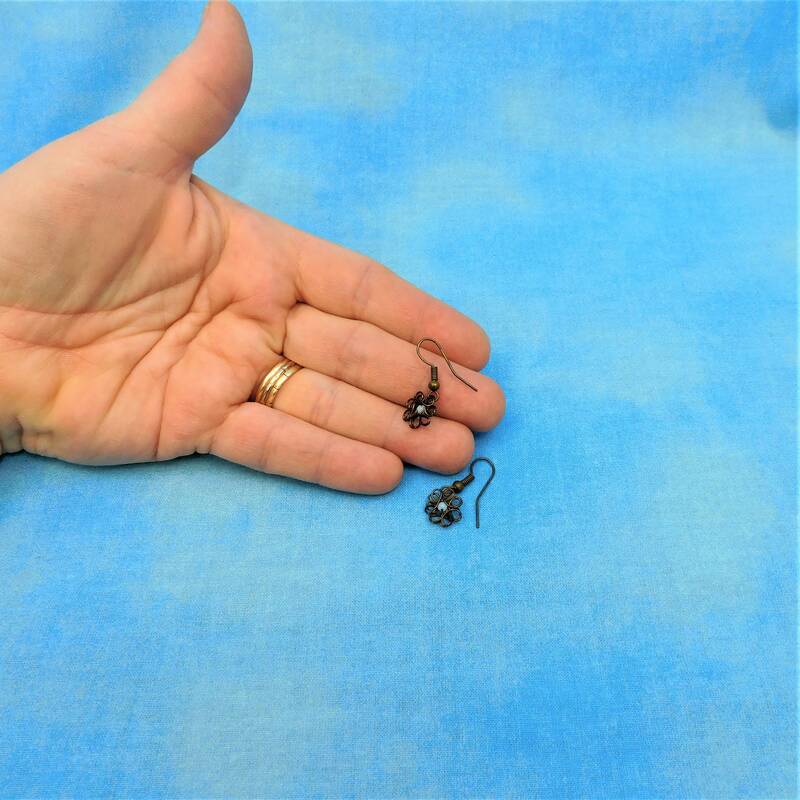 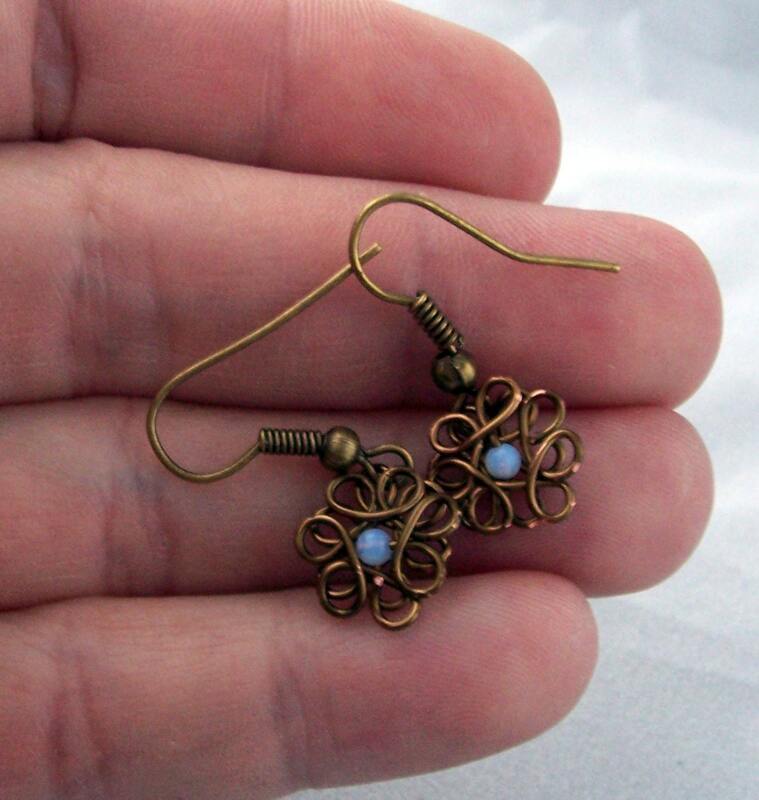 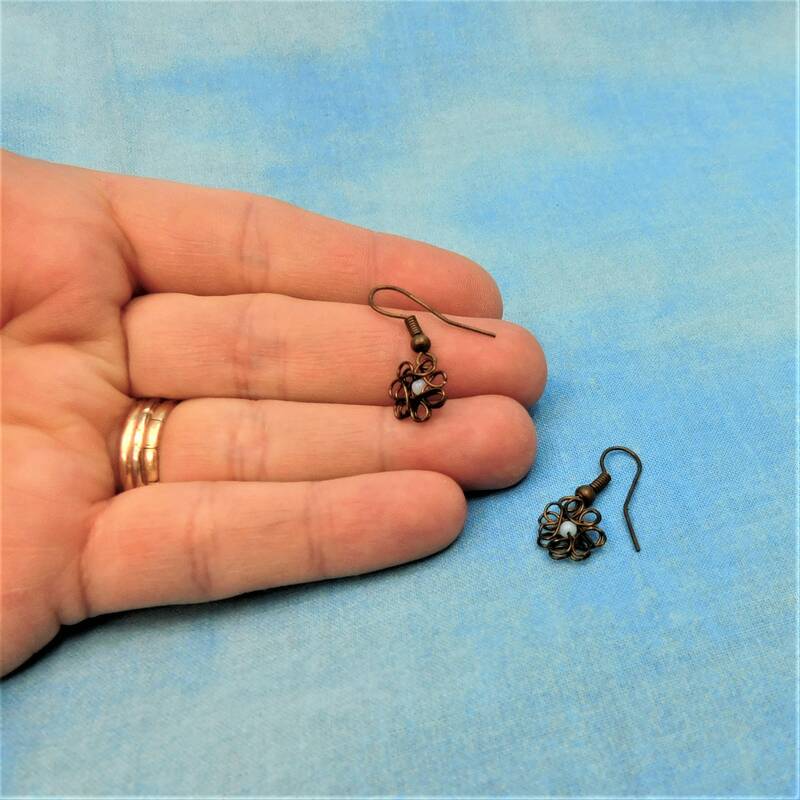 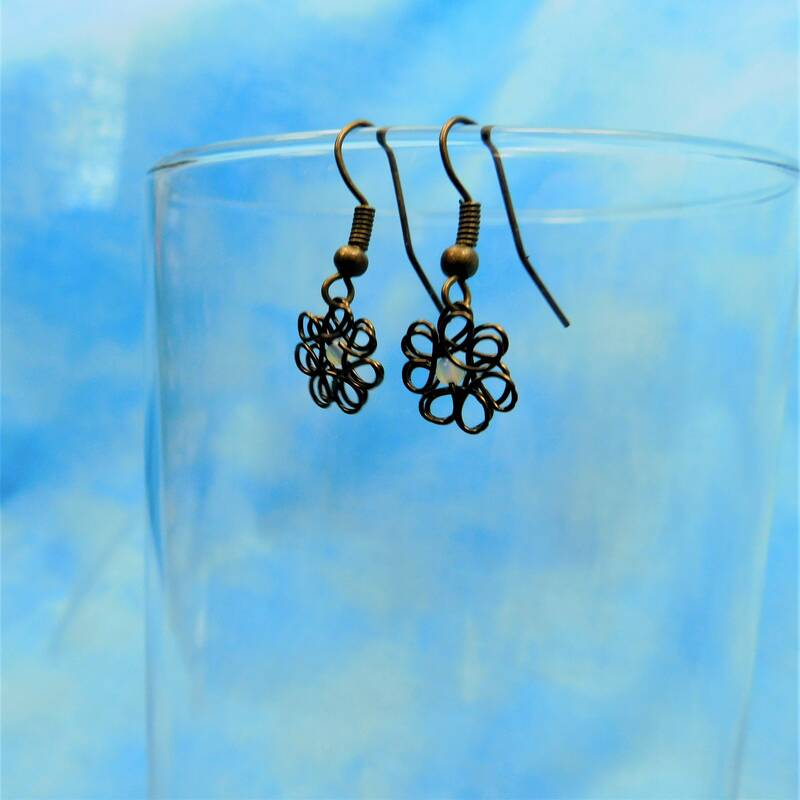 The flowers measure less than 1/2 inch and dangle from vintage bronze colored nickel free metal ear wires.